« Debbie Stoller is Coming to Town! Amanda is at it again. It’s like everything that girl touches turns to cute and this hat is no exception. I love the fuzzy Peter Rabbit (have I mentioned that about 100 times already?) and the contrast with the more rugged British Sheep Breeds is fabulous. 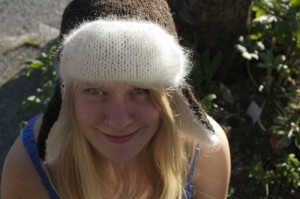 The hat is knit top down too, which is nice for obtaining that perfect fit. I’ve been all about the rugged knits lately. What is a rugged knit you might ask? It’s a knit that looks like it would belong in the woods, or perhaps in a mountain cabin. Something you might throw on to go chop down some fire wood or for a sleigh ride. A knit that would look right at home in a snowstorm. Living in Vancouver I realize this is a bit of a fantastical image but I like it none the less. 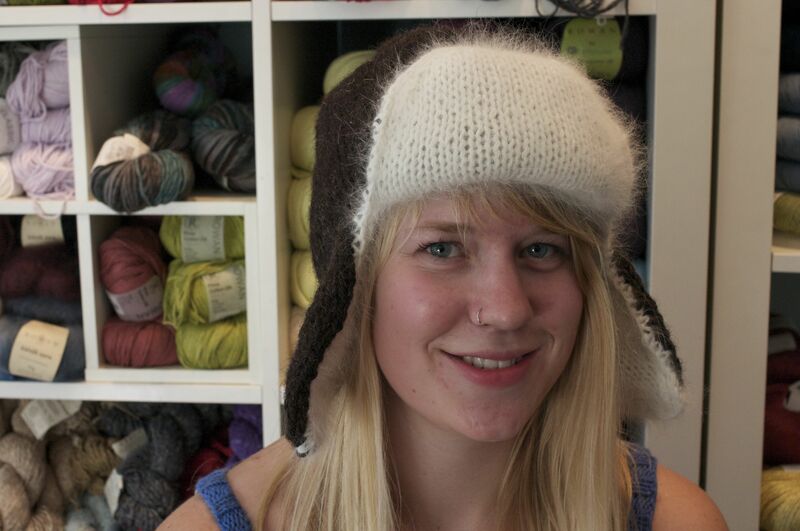 This hat would look right at home on a plaid clad dude or perhaps a trendy city bound lady sporting some rainboots. 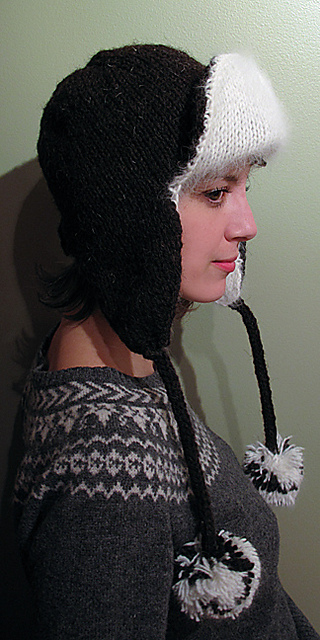 Of course the icing on the cake is the pair of cute pompoms on i-cord strings attached to the ear flaps. 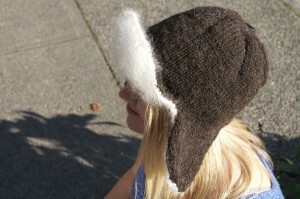 I love earflaps (rugged) and the pompoms, while a little less rugged, are just great in the Peter Rabbit. Like little bunny tails. Fabulous! This entry was posted on Thursday, October 28th, 2010 at 9:42 pm	and is filed under Uncategorized. You can follow any responses to this entry through the RSS 2.0 feed. Both comments and pings are currently closed.